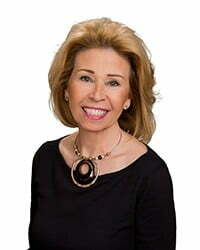 We have relied on Ginger Nelson to help us navigate multiple real estate transactions. Representing us both as buyers and sellers, she has been a very professional, knowledgeable, and a strong and effective advocate for our interests. Her knowledge of the area was so helpful when we first moved to the Coachella Valley, sharing with us contacts and product sources that she turned us into immediate experts. Many of the contacts she referred us to remain some of our most valuable resources here in the Valley. Ginger is first class – the best. When a real estate issue comes up – Ginger is who we call. Ginger, Just a short note to tell you how happy we were with our experience with you! Not only finding us a condo we loved but selling it for us so quickly 2 years later at a tidy profit! (in a down market) You were wonderful to work with and we would (will) use you again for our next property purchase in the desert! Thanks again! Charlene and I have worked with Ginger both to buy and sell homes at PGA West. I don’t know anyone who really looks forward to going through either process. Ginger made it very easy for us. She took care of all the details that nobody wants to think about and made a special effort to ensure that we were completely satisfied with our new home. She continues to follow up to make sure everything is to our liking. Gary and I want to thank you for working with us to find our dream home. We appreciate you patience and determination in finding all our needs. You found us the perfect home and we couldn’t be happier. You were so understanding with all our thoughts and list of wants. It was delightful to work with you and we will recommend you to all our friends that decide to come out to this wonderful paradise. We are truly loving the desert and the beauty we love to wake up to each morning. Thanks again for all your help. We used Ginger as our agent to find a vacation condo in the fall of 2006, and were very pleased with her attention to our wishes, needs and concerns. Her knowledge of the market in the area was extensive and accurate. Since we were from out of the area she made the search easier by previewing many properties before we arrived to investigate in detail, which saved us a lot of wasted time. We appreciate her efforts and would not hesitate to use her again or recommend her services to others. The one thing we like best about Ginger Nelson is that she never delivers a sales message, but instead tries to answer, to the best of her ability, what our needs are. We have bought properties through Ginger and sold properties through Ginger. In each case we were the better off because of her experience, knowledge and caring about us. To send your testimonial or to request more testimonials, please Contact Ginger. Thank you!